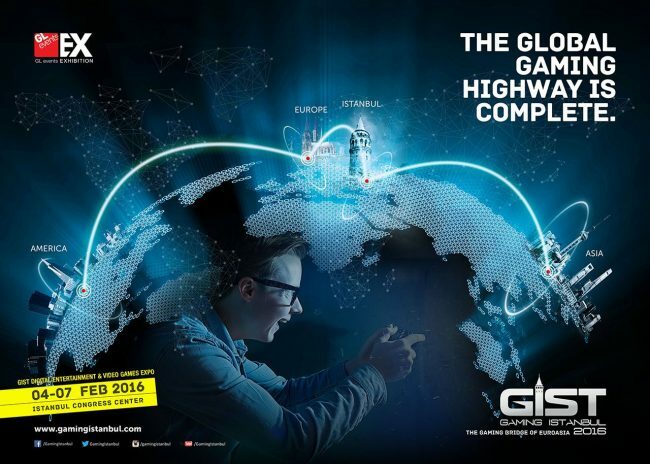 Our partner GIST (Gaming Istanbul) is the new summit of the gaming industry! It is a Digital Entertainment & Video Games Exhibition and an international B2C gaming exhibition with B2B support for gaming professionals in Istanbul, Turkey at 4-7 February. GIST (Gaming Istanbul) Digital Entertainment & Video Games Exhibition, is an international B2C gaming exhibition with B2B support for gaming professionals in Istanbul, Turkey at 4-7 February.